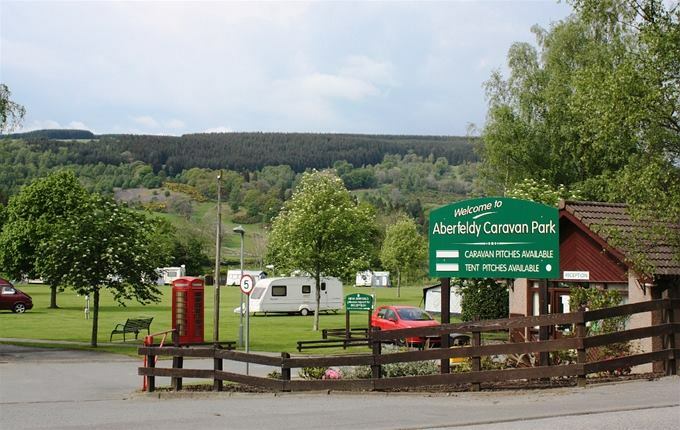 Aberfeldy Caravan Park occupies a highly attractive location and is situated next to the River Tay. We have 139 caravan pitches of which just under 50% are seasonal. Each of the pitches are have an electrical hook up. The season operates from March to October and the facilities with the park comprise of a tent area, tourer area, reception, toilet block with showers, dish-wash area and a children's play area. 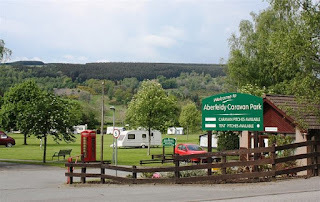 The caravan park is ideally placed to benefit from all the nearby facilities which Aberfeldy has to offer. This includes a wide range of shopping, leisure, medical and community facilities. The area is renowned for its spectacular scenery and the town is a very popular tourist centre within Perthshire. Aberfeldy benefits from year-round visitors taking part in the wide range of outdoor activities available. These include hill-walking, pony trekking, cycling through Perthshire's stunning countryside, fishing, white water rafting, loch sailing and canoeing on the many surrounding lochs and rivers.